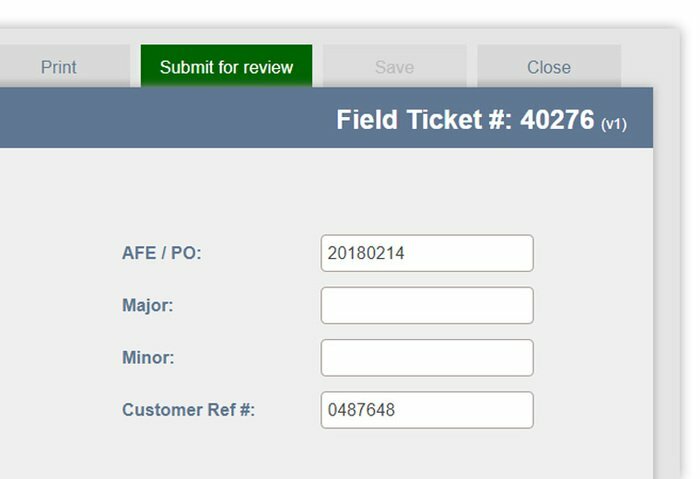 Oilfield Field Ticket Job Tracking Software Company // FieldCap™ Inc. The simple way to get your jobs, tickets, people and equipment organized. Learn how successful oilfield companies use FieldCap to streamline paperwork and improve efficiency ASAP. 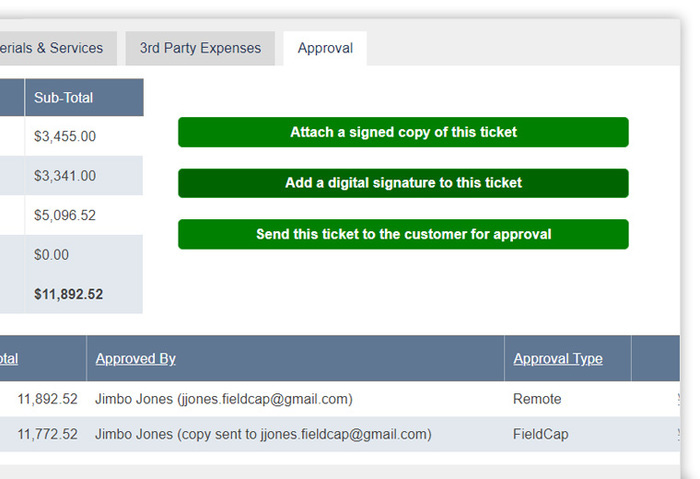 In FieldCap, your tickets & forms become dynamic online versions accessible from any device or location. Field staff get paperwork in faster and office staff get easy tools to process it. Easily co-ordinate and track jobs, tickets, people & equipment in one place. Easily convert tickets to invoices and export to accounting and payroll systems. Easily create the reports you need to respond to customers and make better decisions. What would you like to simplify? Whether you need a full system or help in specific areas FieldCap lets you mix and match killer features to simplify whatever needs improving. Easily activate jobs for customers. Quickly coordinate people and equipment and push pre-filled tickets out to the field. Accurately capture tickets, timesheets, safety forms, checklists and other important data and get it to the office in real time. Quickly turn tickets and timesheets into invoices and payroll exports. Easily sort and process all your paperwork in one place. Easily use your data to create reports for customers and improve your business. See what drives your costs and profits. Fieldcap has all the features you are expecting, plus a bunch made for the oilfield that just might blow your mind. All of them dead simple and easy to use for everyone. No internet on the job? No Problem. Starting your FieldCap from a template geared for your service type reduces fears and get you up and running in weeks not months. Your FieldCap gets configured to match your existing forms, processes, brand and lingo and keeps the disruption to a minimum. Convert all your tickets into accurate invoices complete with backup files with just a few clicks and get cash in the bank sooner. Our happy client list is as diverse as the oilfield. 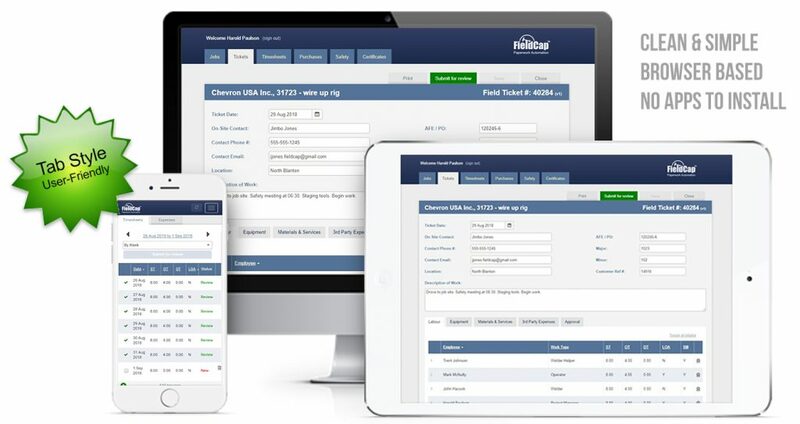 From small family shops running quickbooks to large public enterprises with massive ERP's. We proudly help them all. Get paperwork done right with a few simple clicks. them signed & back to the office in real time! Get organized and efficient ASAP! 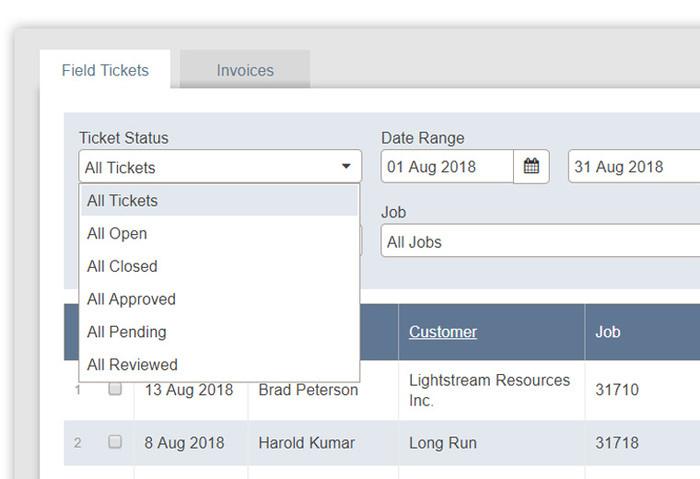 Search, sort and process your jobs & tickets easily! Make your company look more professional! your work and get answers to their questions fast. See exactly what's happening with your business in real time! 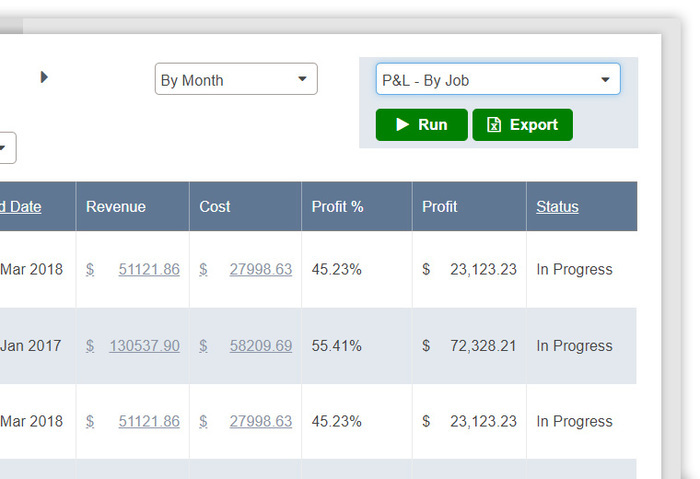 Run canned or custom reports to see whats happening. people, costs and just about anything else.